People are born everyday. And, naturally, people who grow up to work in the entertainment industry are born everyday. Thus, everyday in this column I write a little something about such a figure on their birthday, highlight a work of theirs and ask you to do the same. This is Happy Birthday. Today marks the 28th birthday of rising British actress Lily James. Happy birthday to her and on this occasion, what’s your favorite film or TV production starring Lily James? Hey, so remember how Lucasfilm 2.0 and J.J. Abrams had made a big deal about doing a worldwide casting search for an unknown young man and woman to be in the new Star Wars movie except when the cast was announced no one had been recruited through it and it had looked just like a publicity stunt? As Transformers: Age of Extinction explodes the box-office everywhere, attention has once again turned to its director, Michael Bay. Regularly put down by critics, his films almost invariably make tons of money to the point where he’s been labeled “critic proof”. Personally I don’t think I’d list any of his films among my top favorites but I actually have a lot of respect for the man. He’s a hard-worker who clearly knows his stuff and has his own, unique, distinctive style. 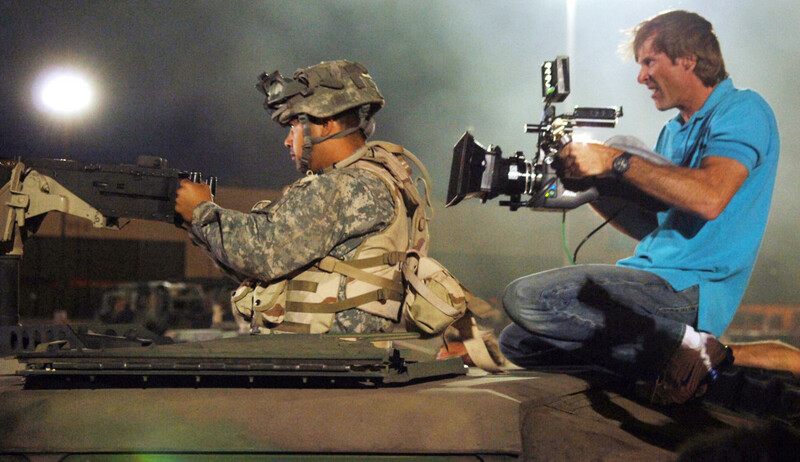 Though he has many copycats, it’s undeniable there’s nothing quite like a Michael Bay film. Thirty plus year olds have Titanic, but most women in their twenties today would agree, The Notebook was it, one of their absolute favorite movies. I’m not ashamed to say it’s one of mine as well. Adapted from a Nicholas Sparks novel, the film was a huge hit in 2004 launching its two young stars, Ryan Gosling and Rachel McAdams, into the stratosphere. Director Oliver Hirschbiegel, best known for his Oscar nominated biopic Der Untergang (aka Downfall) chronicling the final days of Adolf Hitler, is returning to Germany after 10 years to helm another World War 2 flick, though this time centered on the other side.